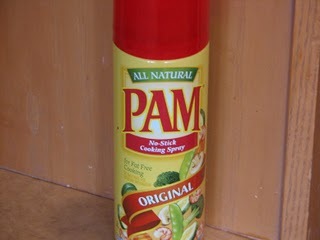 I do keep Pam spray on hand for a few jobs. But it is full of a lot of chemicals. I have asthama and so do two of my kids. Using a tool like this helps keep the smells out of the air in our house. In fact the few times I do use Pam I take it outside to spray it so that I do not have a coughing attack. So this tool is great to use in our house. My one complaint with these sprayers are that they do get clogged after a few years. I think I have had three over the last 8 or more years. But when you figure a bottle of Pam costs several dollars I think that it is still a good deal to use these. Does anyone else use one of these oil sprayers? 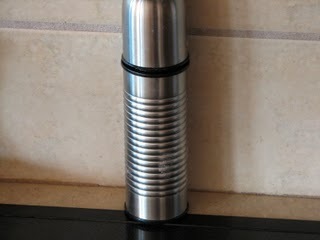 For more great kitchen tools see Life as Mom. I have always wanted one of these! But, I never wanted to shell out the cash. How much are they? I got mine at linen and things with a 20% off. I think it was around $10 or $12. I hav also seen them at Walmart for about that. But I have not looked in a couple of years. I like the idea! I have never heard of this before. So I assume you can put any time of oil in it? I can see the whole link did not post but if you go to lnt.com and search Misto Oil Sprayer you should be able to find it. Amazon has a couple on their site as well.